Prom Committee meeting with students during FOL TODAY, and will be on Wednesday again, next week. Students interested in the prom and being on the Prom Committee, should be signing up for Mrs. Raemaeker’s FOL for Friday of this week and Wednesday the next two weeks. Alaska Construction Career Days will be hosting a field trip to Seward to explore Marine Trades. Application and Permission slip is attached. Application due on TODAY. Field trip will be October 5th – 6th. The Counseling Department will be taking a group of students to visit UAA/APU/ACC/NIT on Wednesday, Oct 26th, which is an early release day followed by no school Thurs/Fri for Parent-Teacher Conferences. Trip info: Wednesday, October 26, 2016 5:50am-7PM. Must have permission slip and $10 turned in to front office. First come, first served. Only 45 seats on the bus. The Counseling Department will be hosting College Goal Alaska FAFSA completion workshops at 6pm on Thursday, October 6th and Tuesday, November 1st in room 24 at SoHi. Bring your 2015 tax information. KPBSD’s 6th annual College & Career Fair will be held at Soldotna High School on Tuesday, October 18th. SoHi’s time slot is 10:00am-11:00am. Permission slips are available in the Counseling Office and have also been sent to you through your student gmail and through Remind.com. Turn your permission slip in to the Counseling office. CLASS OF 2017: Please submit your ideas for a senior sweatshirt design and/or a senior class motto to Brian Dusek, Jackson Blackwell, or Mrs. Zopf-Schoessler by Friday, October 7. We need your ideas! Seniors! If you are interested in taking a Certified Nursing Assistant class, you must attend the mandatory informational CNA meeting at the Workforce Development Center/KCHS (A-750 Lawton Drive) on Tuesday, October 11th at 5:00pm in room v1. Sign up for interview. If not able to attend, you must have a representative. Must be graduating in May of 2017 and be 18 years of age by May 31th. Attend the CNA meeting at Kenai Peninsula College on Thursday, October 6th at 5:00pm in room 118 of the Ward Building. Sign up for interview. Go through an interview/selection process at KPC on Tuesday, October13th from 3:00 to 8:00 in room 118 of the Ward Building. Bring resume to interview. 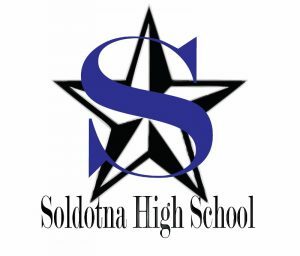 The Soldotna High School PTSA will meet on Thursday, October 13th at 5:30pm in the SoHi Staff Lounge. New members are always welcome! Please join us to learn more about how you can be involved in your student’s school community! For questions, please email Sheilah-Margaret Pothast at agr8fulmom@hotmail.com with “PTSA” in the subject line. PTSA will host a Parents of Juniors committee meeting to begin the planning for After Prom on Monday, October 17th at 5:30pm in the SoHi Staff Lounge. All Parents of Juniors are welcome and encouraged to attend! PTSA will host a Parents of Seniors committee meeting to begin planning for After Grad on Monday, October 17th at 6:00pm in the SoHi Staff Lounge. All Parents of Seniors are welcome and encouraged to attend! Please email Sheilah-Margaret Pothast at agr8fulmom@hotmail.com with After Prom or After Grad in the subject line with any questions regarding these meetings. The Kenai Peninsula School Activities Association (KPSAA) is seeking a Parent Representative to serve the remainder of the current term ending with the current school year. Parent Representatives are an important voice on the KPSAA Board, and will seek information from other KPBSD parents to report back to the KPSAA Board at our quarterly meetings. For more information, please contact Tiffany Eck no later than October 26, 2016 via email teck@kpbsd.k12.ak.us or by phone 907-714-8884. Our first meeting is scheduled for September 15, 2016 at 10:00 a.m. at Soldotna Prep school.